Thick wildfire smoke limited clear visibility to a few yards from the truck for Darlene, Nora and me although Nora crowded in the window against the camera's lens. Later, at the computer, a bit of added contrast cleared away some of the smoke. The osprey on the post, however, was so close it needed no touch-up. 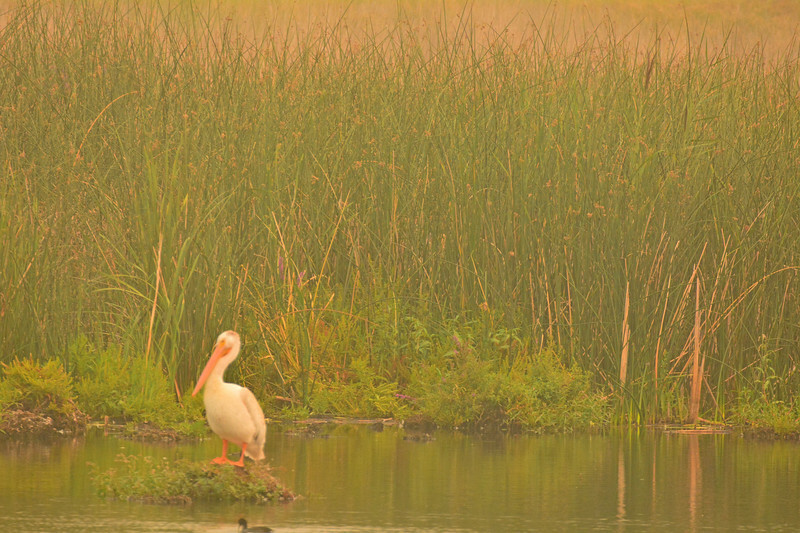 The Pelicans on the southwest-side pond near the NWR headquarters were also close enough to need very little added contrast as did the squirrel at Hood Park.